Ulster are close to confirming a deal to sign Kiwi utility back Matt Faddes, according to the the Belfast Telegraph. 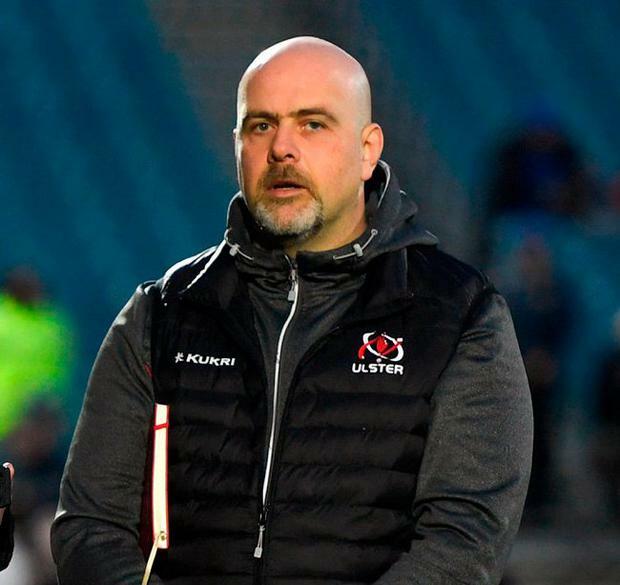 The 27-year-old can play centre or across the back-three and would be the first signing made by the province since Dan McFarland took over as Ulster boss during the summer. While capped at sevens, an All Black appearance has proven elusive for Faddes despite scoring 16 tries in 35 Super Rugby games. Still, he figures to be a smart addition, especially with the World Cup year meaning Ulster will be without the likes of Jacob Stockdale, Will Addison and perhaps Stuart McCloskey for the opening months of the season. The Highlanders man already has experience of playing in Kingspan Stadium having turned out and scored for the Barbarians against Fiji in their visit to Belfast in November 2016. Another addition for next season is expected to be Roddy Grant, who is currently the forwards coach at Edinburgh. Meanwhile, McFarland's men are in action at Kingspan Stadium this evening in a key game against Benetton Treviso. The province currently sit fifth in their conference, outside the Champions Cup qualification places, but can make ground on one of their main rivals by beating the Italian side tonight. And the side's starting full-back Michael Lowry says Ulster must back up their recent European heroics. "Treviso are two points ahead of us in the table at the minute," he warned. "It's all fine and well doing it in Europe and winning those last few games against Racing and Leicester, but we have to back it up." Lowry starts at full-back after Billy Burns was passed fit to play at out-half.